Some of the fixtures and fittings were for sale, and I was able to buy two shelf units and a trestle table. 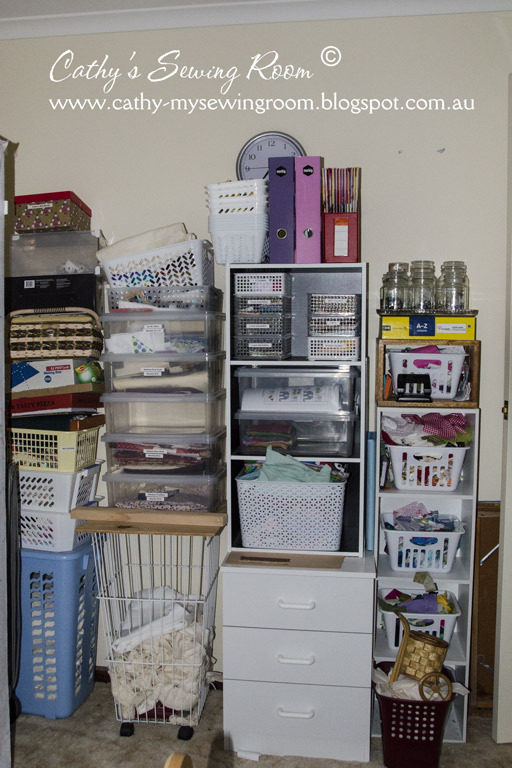 So, this is my sewing room at the moment - a mis-match of storage options. Yes it is sad to have lost your LQS but you have got a bonus form it with your shelves. 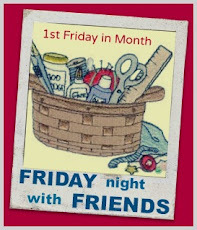 Look forward to seeing your refurbished sewing room. 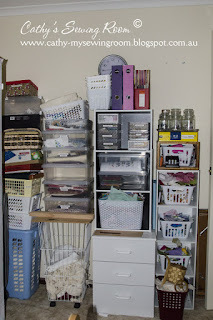 Enjoy restyling your sewing room. It was a sad day on Friday but at least we haven't lost out totally with Kate and Sue continuing with classes, workshops, the annual retreat and a few other special events. I look forward to seeing how you use your new shelving. The piece I got have made a big difference in my space. 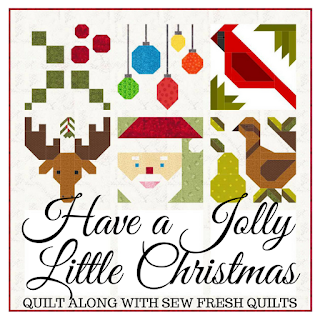 What a shame to hear that a quiltshop has closed but nice to hear that it will be continuing on in some format. Bet you enjoy the new shelving, it will be fun sorting and stocking them!